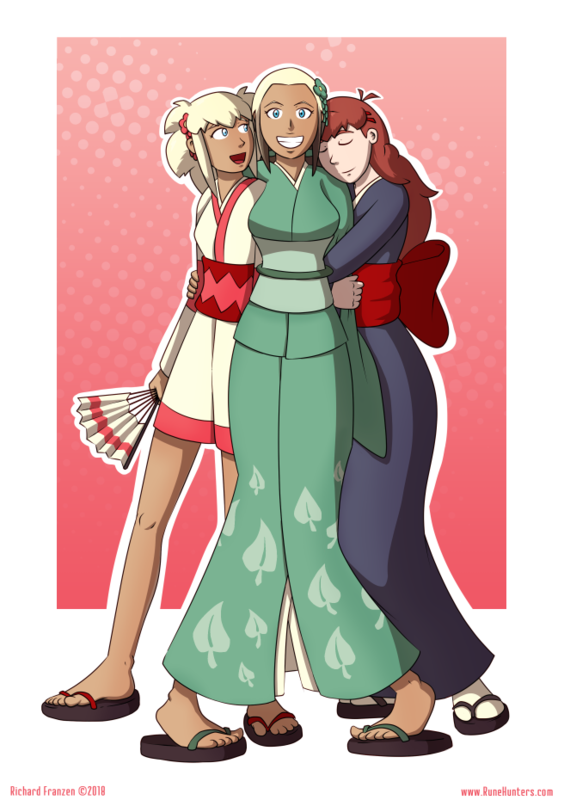 It’s been a while since I’ve done a picture of the Rune girls in their springtime kimonos. Since then, it looks like Alexis has taken the spot that Kate used to have. Drawing this picture made me realize how much Alexis is glue holding this entire team together. Hopefully nothing bad ever happens to her.